Verifying your login details. Please wait. and innovate new ways of engaging with the learners. Our leadership team has deep, rich and varied experience in different areas including academics, corporate leadership and strategic communication. 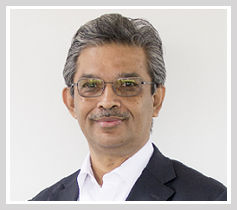 Gopi sets vision & strategic direction for the company and leads learning & education initiatives. He is the principal facilitator for large L&D interventions. He connects with diverse people easily, and is energized by radical ideas. He has provided career guidance and mentoring to school & college youth and working professionals even beyond retirement.He’s a fan of Swami Vivekananda and Mahatma Gandhi for their life principles. He has facilitated corporate training sessions on a large scale, consulted for companies on strategic matters, coached CEOs, and delivered niche workshops for scientists, entrepreneurs, and parents. 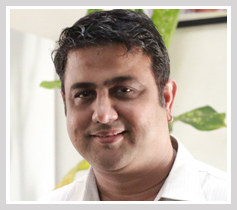 He is a strategic advisor to corporates for their visioning, goal setting, and execution goals. An ace facilitator by flair, he has personally worked with thousands of senior managers and executives from over 100 organizations before establishing his own enterprise. Gopi’s prior experience in his corporate career spans sales & marketing, business establishment and management, organization development, and consulting since 1992. He is a management graduate from Birla Institute of Technology and Science, Pilani. 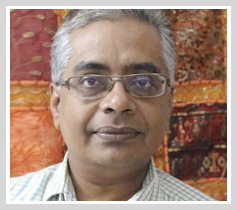 Gopi is an avid follower of medico-psychology, philosophy, biographies, and journalistic and political writings. He takes keen interest in psephology (forecasting and analysis of elections), and is an enthusiastic analyst of Indian and International politics, television journalism and movies. He is passionate about directorial aspects of theatre and dramatics:he has acted, scripted, screen-played, and staged Tamil plays at professional level. He takes personal delight in mentoring people towards high performance and career building goals. Ram heads business development;academic institutions being his specialization area. He also looks after business partner management and client relationships overall. He has an extraordinary flair for numbers. He is an outgoing person, and makes deep rooted long term relationships with people from diverse cultures. He is fitness conscious, and an enthusiastic follower of sports, especially Cricket. He is a hands-on father, and spends quality time nurturing children. He has been involved in market study, need analysis, business development, and marketing processes. He conducts workshops on personal wellness for corporate professionals. His prior experience involves working with people from different nationalities and work cultures across India and Middle East, in the areas of business development, sales, marketing, and customer & partner relations since 1992. He specialized in product & service management involving intensive training, coaching and mentoring of medical experts, healthcare leaders, senior executives and staff. He also set up international franchise / dealer networks. He is a pharma graduate from Birla Institute of Technology and Science, Pilani, and PG in Business and Healthcare Management. Ram is passionate about contributing to sports development among youngsters. He enjoys doing puzzles and problem-solving. He’s an avid listener of old Hindi songs and a lover of Ilayaraja’s Tamil music, and likes to sing along. He’s a big fan of Sachin Tendulkar, ZinedineZidane and Michael Gross. Ritu heads academic research, program design, product development and delivery. She is also the co-facilitator in face-to-face classroom sessions, and academic coordinator for online live sessions. She has more of an academic bent, who likes to study and research. She can make deep observations on human behaviour about learning. She is a non-sequential thinker which helps in idea-generation and creativity.She is super conscious about customer service and is eager to bring about improvements in learner experience - programs, activities, interactions, and interfaces. Perseverance, detailing, and excellence are a few terms that may aptly describe her attitudes in life. She has been actively involved indesigningof learning processes and methodologies. 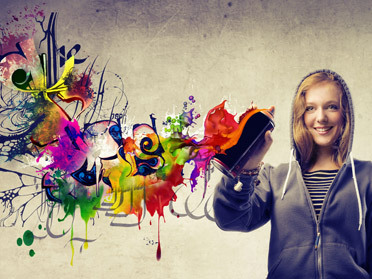 She has end-to-end executed development and delivery of learning programs and workshops. She has also created learning material, tools and aids like simulations, activities, assessment tests, diagnostics, and practice exercises, for corporatelearning programs in India and other countries. She looks after creative supervision for L&E materials and business communication material. 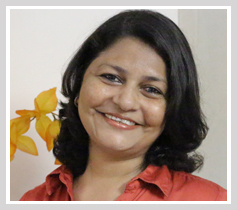 Ritu’s prior experience in her corporate career includes sales & marketing and business management, since 1992. She is a management graduate from Birla Institute of Technology and Science, Pilani. Ritu likes to relax over sketching, painting, light reading, and solving number and word puzzles. She is sensitive towards environment and nature conservation. She is generally curious about how things work, and manages to fix mechanical breakdowns. She enjoys soft music, especially while working. Terence heads the Higher Education business. He manages channel sales and business partner relationships. He identifies new opportunities in education business and develops business models around them. A calm and easy going person, he isunfazed in crises. He has a wealth of close friends from every walk of life – personal and professional. Highly people oriented, he is considered as ‘favourite boss’ by his team members. He has set up a widespread network of higher education business partners across India, and drives retail business thru innovative online marketing initiatives. 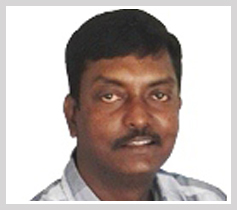 Terence’s past experience entails handling large education and training projects while representing India’s leading IT training giants for more than 16 years now. He has also worked on developing software applications for Institutions and SMEs during early days of his career. Terence holds an MBA and Honours Diploma in Software Engineering. Terence loves food and traveling. He is passionate about trekking and forest adventures. He has captained super senior teams in school and college days in Volleyball. Sai heads new initiatives, corporate accounts, and alliances. He is also a key faculty member. He is a marketing specialist with passion for sales, building relationships, and training. He is a curious learner and gathers knowledge in vast subjects. 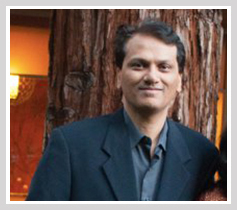 He is a regular practitioner of yoga and a great believer of the Ayurveda and naturopathy. Perseverance, thinking on the feet, creativity, and multitasking are some of his key strengths. He is an enthusiastic networker. He has more than 10 years of experience in sales, marketing, training and consulting. He has set up and ran large businesses in FMCG and Financial Services. Before 361DM, he has worked with Nestle and GE Capital. 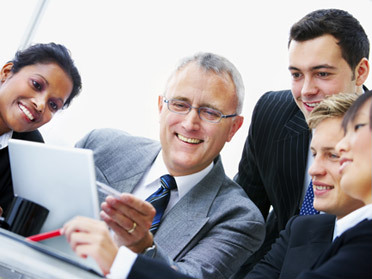 With strong relationship building skills, he has managed large teams and distribution networks. Sai is a Commerce graduate from Loyola College and MBA from ICFAI. He is a member of many professional associations. He is deeply interested in spiritual learning, and a practitioner of yoga. Contrastingly, he is also a keen follower of the Indian politics. He enjoys travelling, loves food, and can travel many a mile for his favourite food joints. 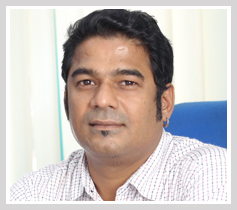 K. Ramachandran (or KRC as he is popularly known as) leads macro initiatives and marketing & strategy. He adds a witty edge to even the ordinary and mundane events in life. He wins instant admiration for his easy-going persona and excellent listening. KRC has over 23 years of experience in journalism, communications and marketing, having straddled the domains of media, information technology and education. Starting off his career as a trainee journalist with India's national daily The Hindu, KRC grew in the ranks to become the City Editor and Chief Reporter of the newspaper's flagship Chennai edition. In his 17 years of career in journalism and media, KRC covered the Education and Urban development domains, providing in-depth news, views and insights to lay audience as well as subject matter specialists and experts in the domains. In 2007, he shifted careers to head the industry - academia interface program of a leading IT and Consulting services company. He was involved in building the brand of the organization among top students of premier higher education institutes globally. 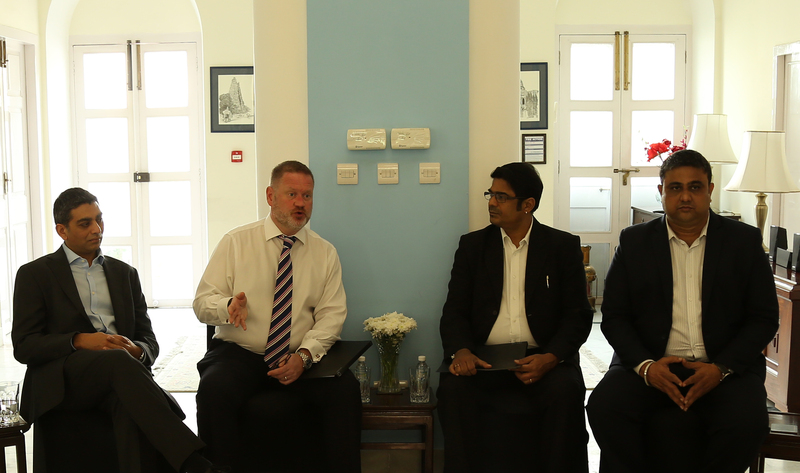 He has also participated in curriculum making committees on many occasions. KRC is a graduate in Commerce from Madras University, PG diploma in Journalism and Communication, and a certified Corporate Coach. KRC takes interest in studying social media trends. He is passionate about world history. Has a keen ear for music. Suresh Krishnaswamy (popularly known as Sky) has co-founded and heads our Big Data & Business Analytics Center of Excellence. He's been instrumental in defining the curriculum for a host of certificate and diploma programs on Big Data & Data Analytics for the global audience. He is also responsible for exploring global markets for selling these online programs. 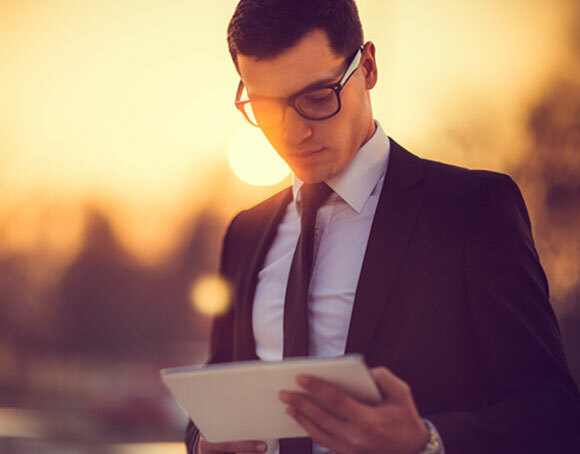 Sky has rich experience of over 26 years ranging from IT consulting, transition, transformation,applications development, to strategy making and business analyses with leading global IT and Consulting services companies in India and abroad. His most recent assignments span mobility, cloud computing, and analytics and big data. 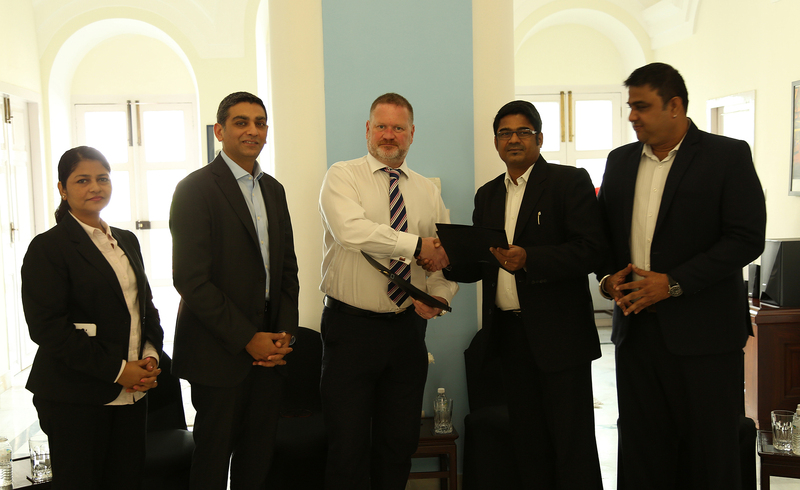 He had been with ANZ, IBM, EDS, HCL and Cognizant before joining 361DM. Sky is a Science graduate from the University of Madras, and an IT post graduate from IICM. Sky calls himself a ‘foodie’, and relishes all cuisines. He does calligraphy and painting too. He is an instant entertainer with his mimicry skills in different Indian accents. He has played Cricket for the Delhi team with the likes of Raman Lamba. Jayan Narayanan heads digital marketing strategies and online branding communication as the Chief Marketing Officer. He immensely believes in the power of branding and image building, and need for businesses to pay attention to it. In his 24 years of marketing career, Jayan has had wide range of experience in marketing, sales and business development in corporates like CSS Corp. In 2012, he founded TOSS the COIN, a new age marketing advisory company. 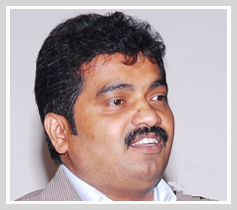 Jayan has been a motivational speaker and a corporate trainer. He spends his free time at colleges conducting free communication workshops in a bid to make the students employable. He also appears frequently in several industry forums delivering lectures on social media, marketing and branding. He loves quizzing people and that makes him often appear in the admissions interview panel of many management schools including IIM. 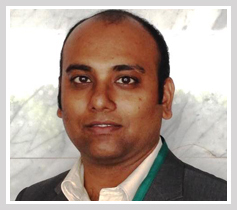 He is also a visiting faculty at Tata Institute of Social Sciences where he teaches Sales and Digital Marketing. He is passionate about cars, long distance driving, travelling, photography and speaking. He is a member of the Toastmasters International and has achieved the highest accolade - "Distinguished Toastmaster (DTM)". 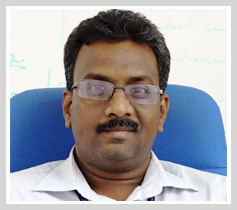 Viswanathan (Vishy as he is popularly known as) heads the channel partner business of Higher Education. He looks after sales &marketing, channel network building and relationship management, and new market analysis and development. He is a creative technocrat with a confident, quiet demeanour. He has over 18 years of experience in sales and channel development, with a Learning & Education industry experience of over 8 years. Prior to this assignment, he has held key positions in companies like New Indian Express Group, IIHT, Aspire Learning, i360 Staffing and Training etc. He is well-versed in Business Operations and Channel Management and had done considerable network expansion across India in his current and earlier companies. He is a Mathematics graduate from A.M. Jain College, University of Madras, Chennai. Vishyhas been a Badminton and Volleyball player and a Chess enthusiast.He is a die-hard fan of Gary Kasparov. He is lover of all genres of music, enjoys travelling and has a new found interest in blogging. Highly accomplished and deeply driven leader with 20 plus years of experience in the product management and strategy, business development and sales, focused on transforming the customer experience through intuitive and efficient products that quickly catalyze action and increased productivity. Sriram has been a part of the founding executive teams of several startups as well as angel investor with expertise in product strategy, optimizing business models, establishing partnerships, fund raising and scaling companies to a large user base across multiple geographic regions. Sriram also has a track record of successfully leading large global teams to deliver high-quality, scalable software products in a variety of verticals such as healthcare, CRM, document management systems, e-commerce, consulting as well as governmental bodies. Sriram’s areas of interest also include learning management systems, block chain, cloud adoption and trans-formative user experiences and disruptive technologies.